Many people want to begin growing their own food, but there are so many variables to consider that the task might seem too overwhelming. The lecture aimed to eliminate that stress by going over the foundation jobs involved with growing food from your yard. Topics discussed included picking a good spot in the yard to grow, ordering the seeds, how to germinate seeds, caring for the plants, and successional seed planting. 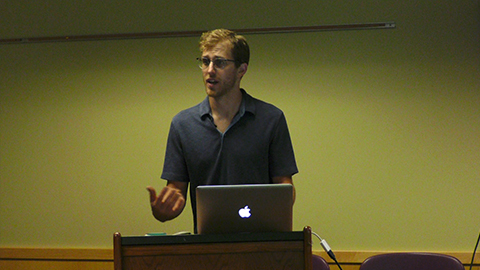 Cody Murnen, a master gardener and graduate trained expert in this area spoke on the topic. The event was held at The Point Place Public Library.